This is Only £0.01 - but image with the internet if we ALL took a penny back from the bank?! How much could we reclaim from Barclays Bank into the peoples pocket?! Get your Free Penny from the bank now! Process takes literally only a minute with your mobile phone. 1) Under "I'm not a barclays customer" Click on "register to receive only"
No way! Im going to become a millionaire! the time it will take me to do this is not worth 1p. all that effort .... really? i bet some body will do it though! if you want to make more money just use any creditcard verifying site. They will transfer just under £2 to verify your account, just wait till they transfer it, then withdraw it, then declare bankruptcy and you're sorted! Don't forget 3% quidco too! Vodafone would give you £2 for adult verification thru your credit/debit card. its much greater than £0.01. someone interested can try? I did A good size egg as well!! Well worth the 1p. I just might do this deal to recover my costs, that 1p to Thornton's sure did make a hole in my wallet! Er, when you say take back - what do you mean? 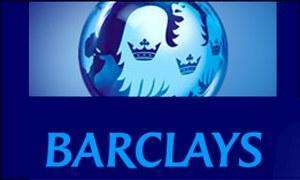 Barclays was one of the few banks NOT bailed out by the government - they preferred to borrow from Arab sovereign wealth funds. Other than that - I'm sure this penny won't actually transfer, it's the same when you sign up for a mobile etc, they do a 1p transaction to test your account. Your first ever post after a year's membership and you come up with this ? To make different; to vary; to variegate. how do we get the OP banned ??? I am a Barclays customer so I don't even qualify for the 1p ! Aww....a year and a week, then iced on your first deal. Indeed pennies turn into pounds, but this is in no way whatsever a hot deal. do the maths, if every single person in China did this it would cost Barclays about £20 Million. They make about £7-10 BILLION per annum. How much do you think they'd care? This time next year Rodders! COLDEST DEAL I HAVE EVER SEEN!!! You're not joking, my thermals just aren't helping in here! Deal posting newbie! This is sanjayshelat first deal post. Help out by leaving a posting tip or just to show your appreciation for their contribution.